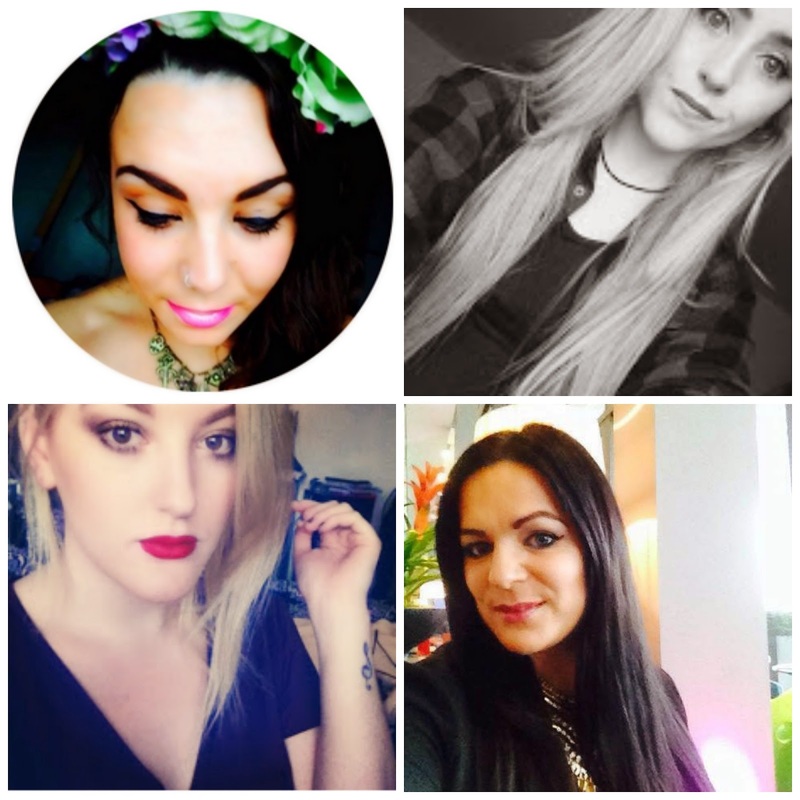 The Beauty Ideal : Lauren is a beauty blogger from Manchester. I have been reading her blog for the longest time and love every single blog post that she puts up. If you haven't already checked her out, I highly recommend her blog. She posts very regularly too which is just great !! My fave posts this month were This and This. Aisling Wallflower : Aisling is a fellow ITWBN blogger. I didn't actually get to meet her at the last meet up unfortunately but hopefully I will in May ! I have been loving Aisling's blog this month. Her pictures are so colourful and she seems like such a fun person ! My fave posts this month were THIS and THIS ! So that's it for another month ! I hope you liked this post and found some new favourites. 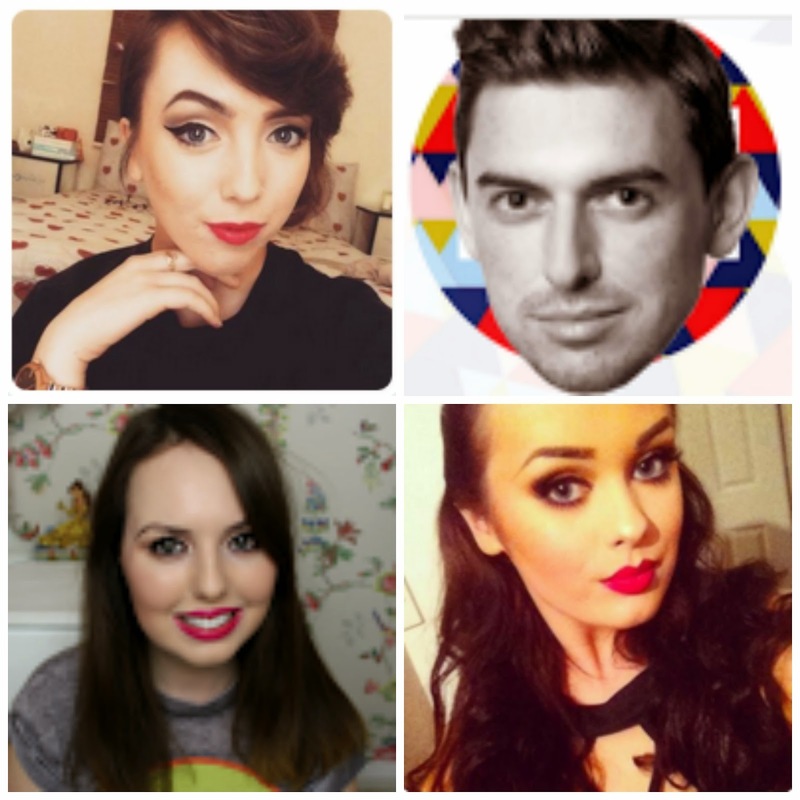 What blogs/ Youtube channels have you been loving this month ? This month has been super busy ! I've been using a lot of new products and trying out lots of new things. 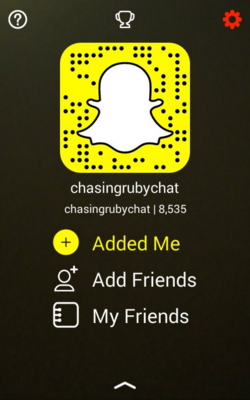 That being said I have a few standouts, some new products and some old trusty products too ! 1. 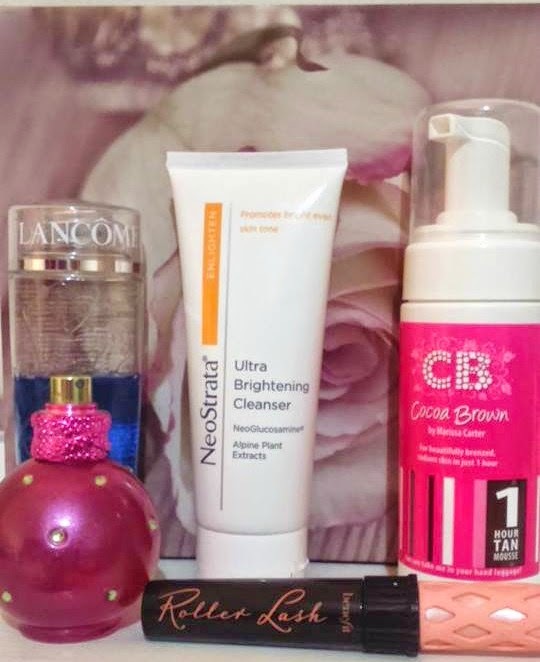 Lancome Bi- Facial Cleansing Oil : I have been loving this cleanser so much, I ran out of it at the end of February and picked up another bottle straight away ! This bottle will last me absolutely ages, maybe three months. The reason it's half empty is because I gave my mam some to try out since I love it so much. It is a little pricey at €28 but definitely worth it. 2. NeoStrata Ultra Brightening Cleanser : I received this cleanser as part of my ITWBN goody bag in Feb. I started using it at the beginning of March and was amazed at the results. It has cleared up my skin so much it's incredible !! 3. Cocoa Brown 1 Hour Tan : Since the weather is getting a little bit better, I thought it was about time to get back into tanning. 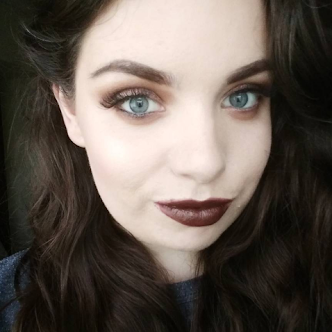 I've heard so much hype about Cocoa Brown that I couldn't resist trying it out myself. I completely get the hype now that I've tried it a few times. Love love love this tan ! 4. Britney Spears Fantasy Perfume : As it's been feeling a lot more like Spring, I've noticed myself wearing this perfume quite a lot this month. It has a very strong floral scent and perfect for Spring in my opinion. 5. Benefit Roller Lash Mascara : Another product I bought because everyone and their mother was raving about is the Roller Lash Mascara. I have to say I do really like this mascara. I've mostly worn it for daytime looks this month. I personally found that it's not dramatic enough for night time looks. I will definitely be doing some in depth reviews on some of the products mentioned above in the next few weeks, so look out for them ! What have been your favourite things this month ? 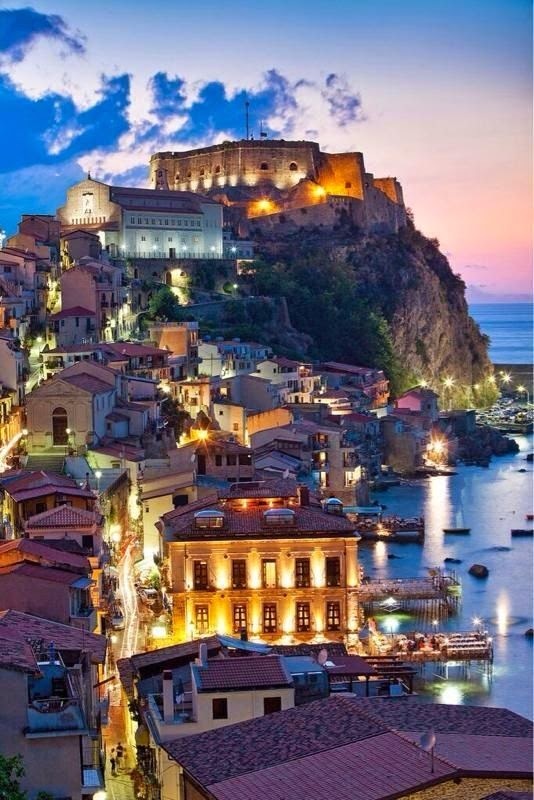 When I was younger my parents were very good to me and we went on little trips abroad quite regularly. We also went on bigger trips abroad like travelling to Florida and New York. So I've always had a love of travelling and exploring and I'm pretty sure that comes from my parents (my mam in particular). My last trip was in 2012, I went to Africa and had the best time ever. Since then I've had my Leaving Cert and then college and summer jobs. Basically I haven't really had the time or money to go on any holidays, but I've got that travelling itch again and I'm dying to go on a little vacation. As I am a student and funds are low, a city break is the most realistic holiday I'll be going on any time soon. So in my moments/hours of procrastination, I've picked out 10 European cites/ countries that I want to travel to. Hopefully I'll be seeing some of the places sooner rather than later. 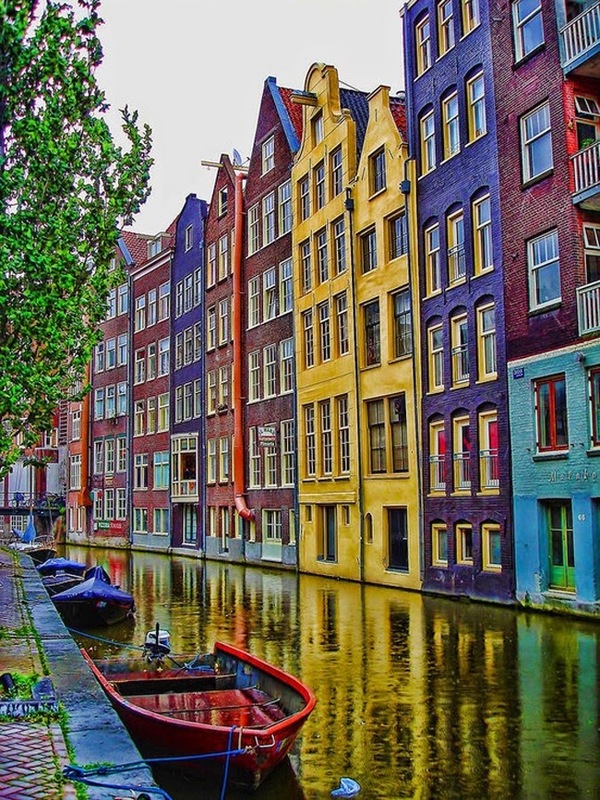 Amsterdam ! I have only been in Amsterdam once and that was for two hours in the airport. Hopefully I'll get there again and be able to stay for longer. Cyprus !! 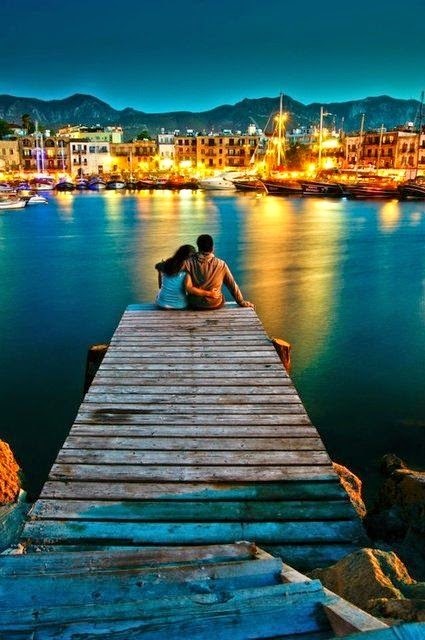 How amazing and romantic does it look. Definitely on the travel bucket list. 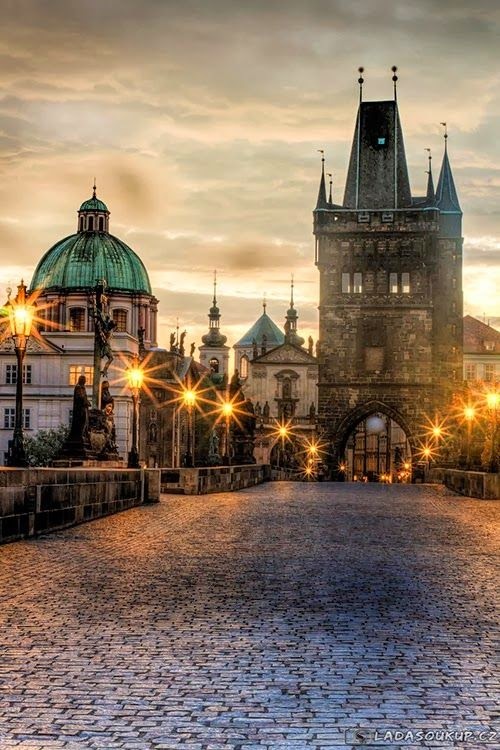 Prague ! My parents have been here and really enjoyed it so I'd love to experience it myself. Berlin ! 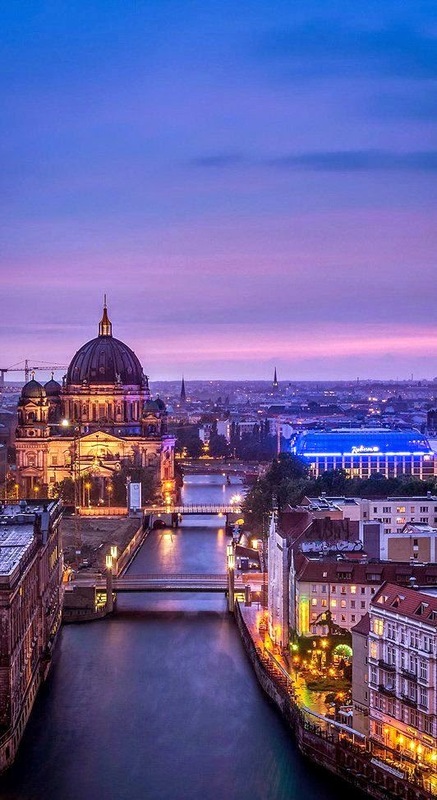 I have heard so much about Berlin and I think it would be such an interesting city to visit. 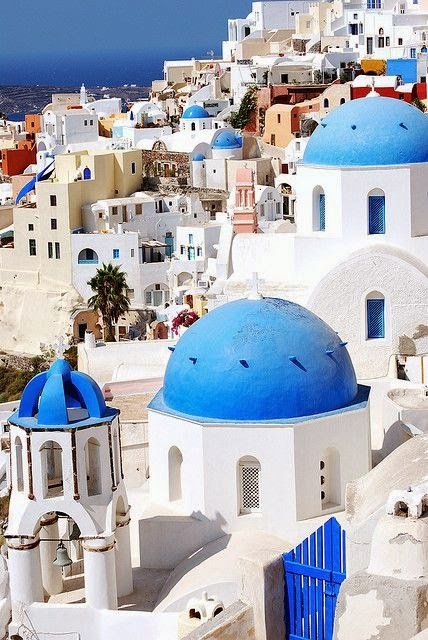 Greece ! Fun fact, my dad actually proposed to my mam in Greece ! I'd love to go there. It looks so sunny and happy. Barcelona ! How beautiful does this city look ?! Can somebody please take me there !!!! 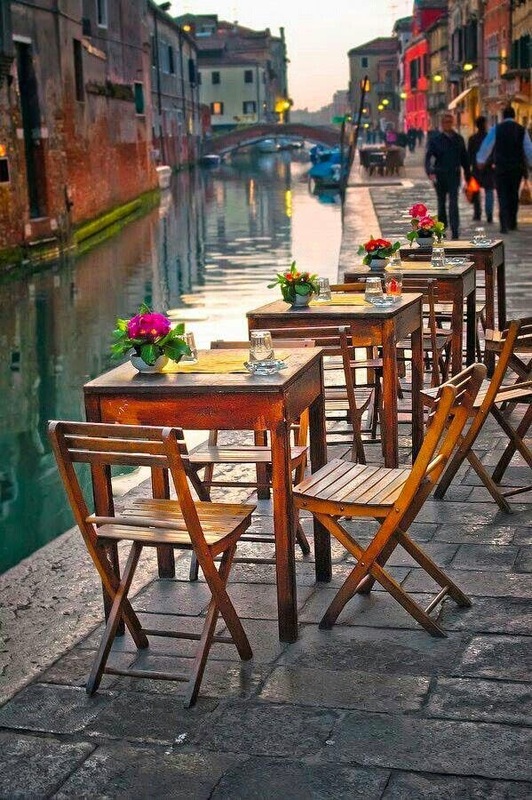 Venice ! How insanely cute does Venice look !! Budapest ! 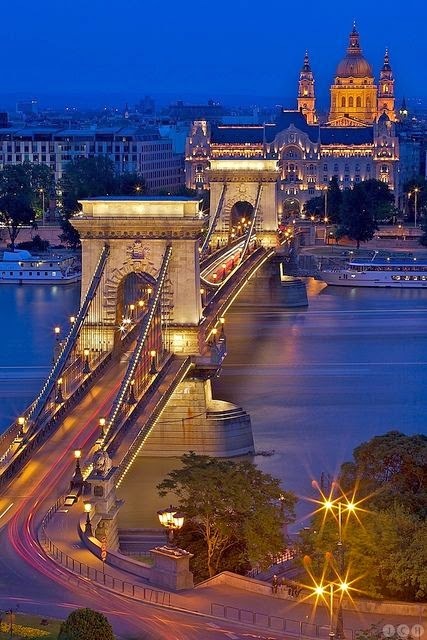 I have a really strong desire to go to Budapest, I have no idea why I just really want to go there. It looks stunning. Vienna ! I think this would be the perfect weekend away in paradise ! Stockholm ! 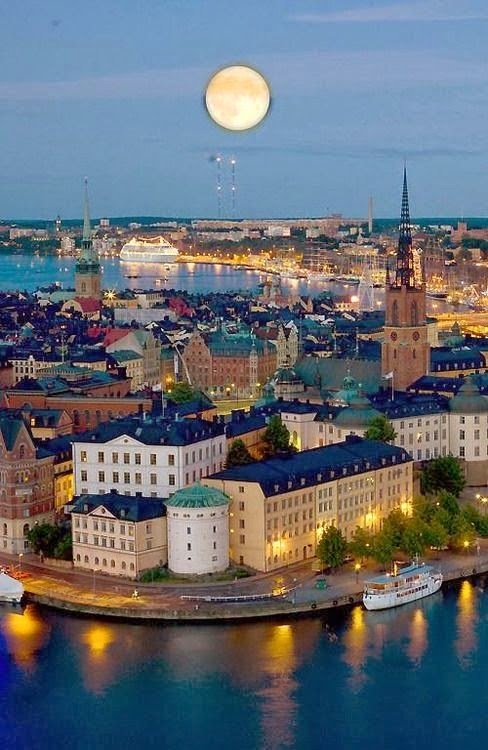 Last but by no means least, the beautiful Stockholm ! There are so many other cities and countries that I really want to visit but those 10 are top of my list. Hopefully I'll get to some of them in the near future ! 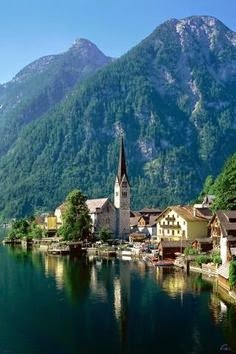 Where would you like to travel to in Europe ? 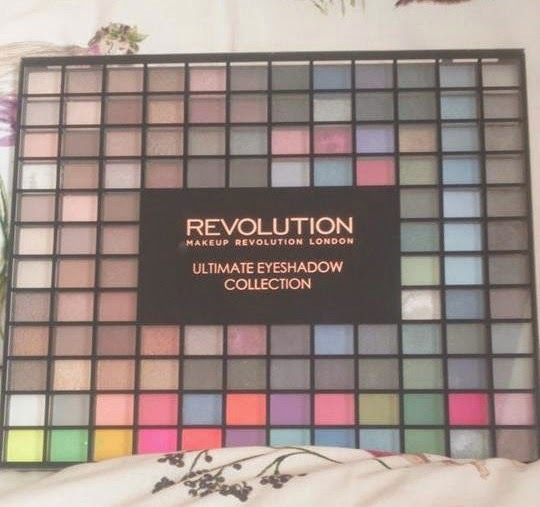 You may remember seeing this palette in my February favourites, it is of course the Makeup Revolution Ultimate Eye Shadow Collection. James bought me this as an early Valentines present and I am beyond obsessed with it. The variety of colours is amazing !! There are both matte and shimmer shades. The pigmentation and quality is second to none ! 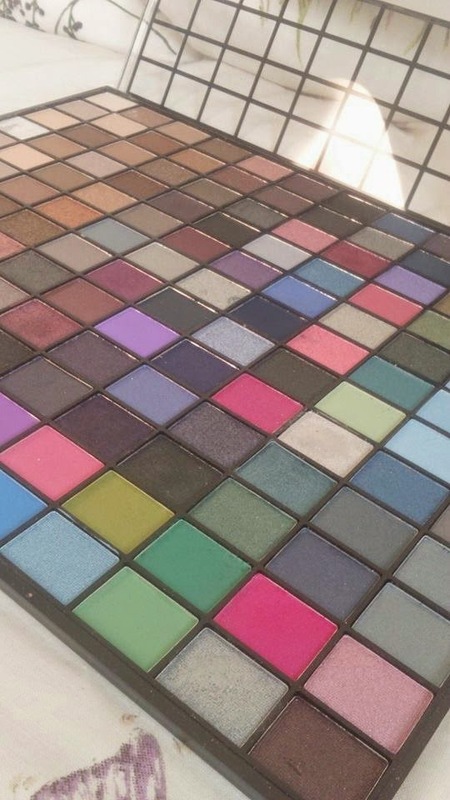 I would swatch them but there's way too many and I can't choose any favourites because they're all so beautiful. One thing I really love about this palette is that there are colours to suit everyone's preference. I usually go towards more monotone, simple colours but recently I've been using lots of colour. This palette is just great for both! 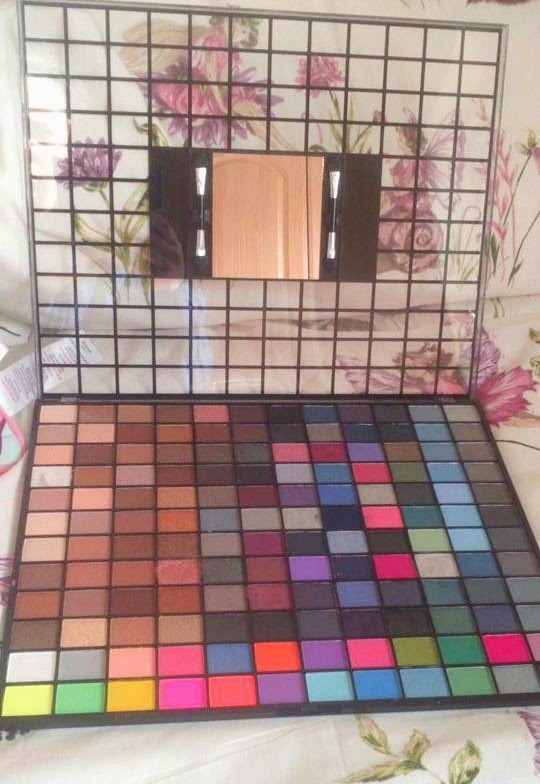 I think this palette at the time was on offer for £10. After converting to euro and paying for shipping it came to about €20. 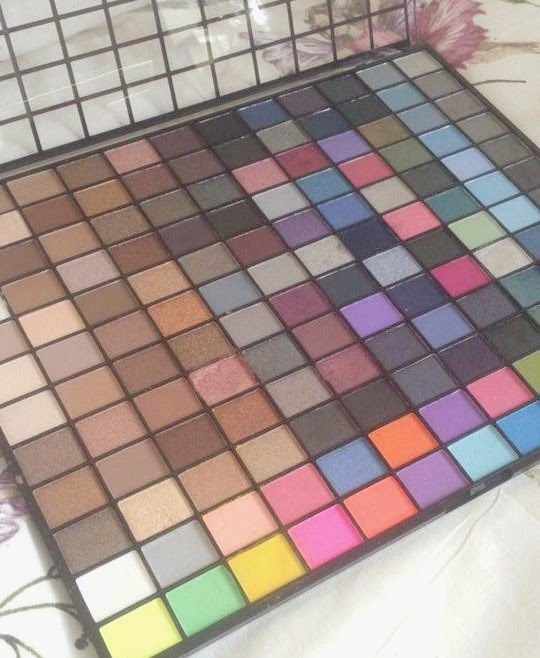 This is amazing value for the amount of colours and the quality ! Since getting this palette, it's been my most used palette and every time I use it, I find a new favourite shade. I couldn't recommend this palette more ! Have you heard of or bought this palette ? What do you think ? My mam was in Paris over the weekend and only came home yesterday. It had been ages since I'd seen her so she came down to Limerick for the afternnon to see me. 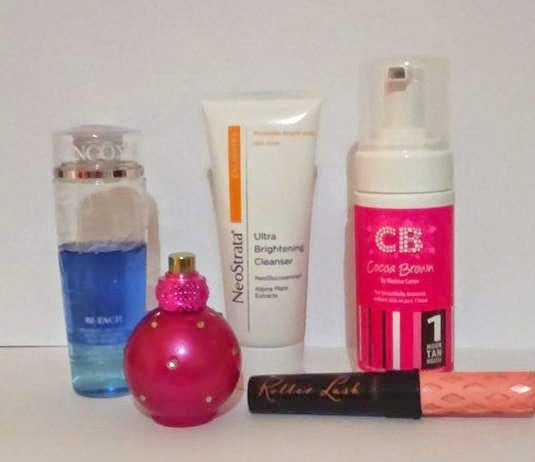 We had a lovely dinner at Pizza Hut and a great catch up.Afterwards we went into boots looking for some really hydrating body moisturizer, which we found but of course, one simply cannot go into Boots and not browse the beauty stands. First up we went to Benefit, I've never really used much of benefit's products up until recently. I went to a little preview of the Roller Lash Mascara and the girls at Benefit did a full face of make up for one of the girls and I was so impressed by all of their products. So I was delighted when the girl working there offered to show me more products and give me some samples to try out. She applied the Roller Lash Mascara on myself and mam and after seeing the amazing results we both bought one, because we bought two Benefit products and at least one was the Roller Lash we were both offered complimentary make overs. Mine is scheduled for this Thursday, which is ideal because I'm heading out that night for my friends birthday. The samples I got were, the high beam highlighter, the They're Real remover, the Hello Flawless Oxygen Wow foundation and the Pore Professional. I can't wait to try them all out. 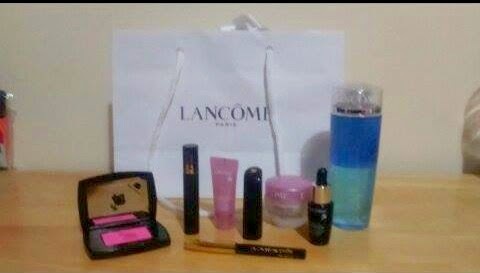 We headed down to Lancome next as I was looking to get some of the instant cleanser for sensitive eyes. I absolutely adore this cleanser, it's a non oily oil and I use this every single time I have eye make up on. When we got down there we realised it was actually on a deal with a load of other little bits from lancome, when you buy any two products from lancome, any at all !! SO mam picked up a lipstick and brightening primer and we got the deal. 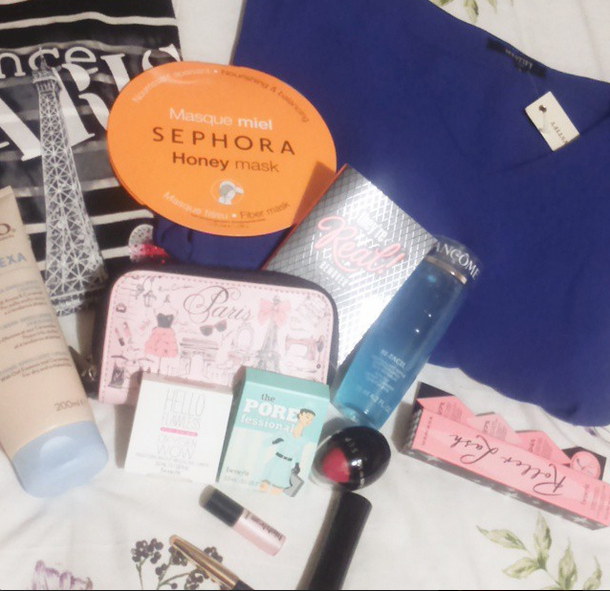 Mum was in Paris for the weekend and brought me home some goodies from Sephora !!! I did give her a 'small' list of things I wanted, but every single thing on my list was out of stock there *sad face*so instead she picked up a few bits she thought I'd like. She bought Masque Miel Sephora Honey mask, a relly adorable little tinted lip balm called Kiss Me in the shade 05 'Candy Apple'. She also picked up a red lipstick because she knows I love a good red lip. She picked up 'Rouge Shine' so I'm excited to try it out, I did a little swatch and wasn't too impressed if I'm honest, I think It'll definitely need a primer under it. While she was in Paris she picked me up the cutest little t-shirt, purse and dress. I have been absolutely SPOILED rotten !! I was sick all of last week and still a bit sick now so this has really perked me up ! I'm so exited to try everything and report back !! Has anyone else done a little haul recently ? Let me know in the comments. Sunday nights for me are all about preparing for the following week. Usually I'll try to make sure my college work due for that week is completed, my to do lists are written up and my general plan for the week is clear in my head. I also like to have a good tidy up so I'm not starting a fresh week with a messy room or disorganised working environment. But the reason I love Sunday nights so much is because Sunday nights, are my pamper nights. I love to treat myself to a nice long bath/shower, followed up by face masks, manicures and Netflix. Last Sunday was no different, I had a really long shower and used some of my favourite products. 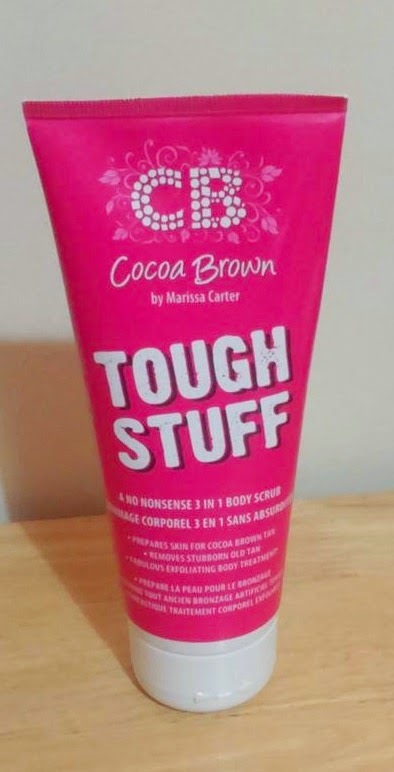 I have recently fallen in love with Cocoa Brown's Tough Stuff Exfoliator. 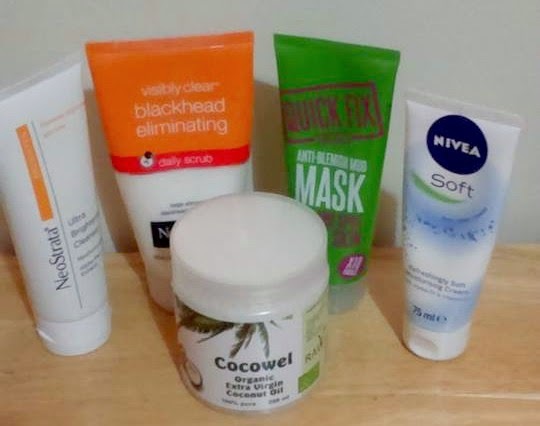 It's a dream exfoliator for me, I have quite sensitive and dry skin so finding an exfoliator that's not too harsh is really difficult to find. The Tough Stuff however is really gentle and smells incredible. It works really well with my skin and always leaves it feeling silky smooth. 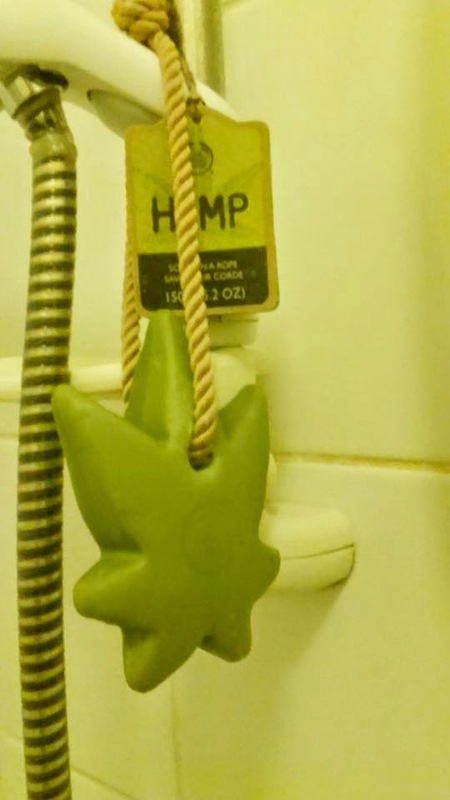 I also love my Hemp Soap Bar from The Body Shop, it's actually really perfect for showers because it's on a rope so I can just hang it up. I have never been a fan of soap bars and usually go with shower gels. However I think the Hemp soap bar has converted me. It's supposed to be very moisturising and hydrating, I personally don't really get that. It doesn't leave my skin feeling dry or anything, I just don't feel my skin is any extra hydrated. But what I love about this product is how clean I feel after using it, I always feel clean coming out of the shower don't get me wrong but there's just something about this soap bar that leaves me feeling squeaky clean. It doesn't have an overwhelming scent either which I personally love. After my shower, I like to moisturising my skin with E45 body lotion, I recently picked this up because my skin has been incredibly dry and irritated, so I wanted something with no perfume that would be very hydrating. It's working grand but I haven't noticed a massive difference to be honest. 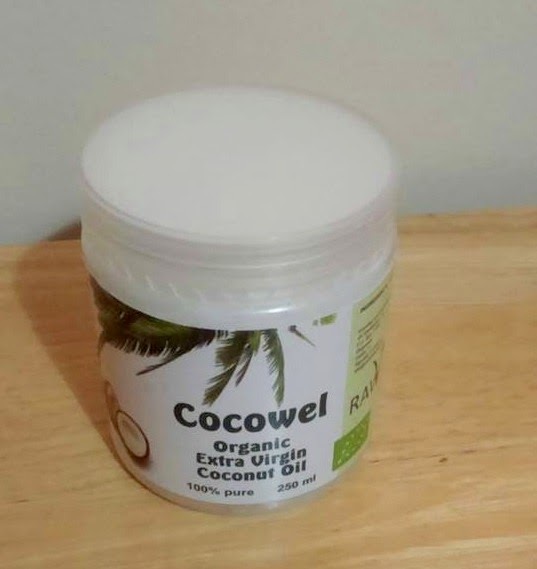 After drying my hair I usually message some coconut oil into the tips of my hair and leave that on over night. Next up is facial time. Recently my skin has been having really bad breakouts and last week was no different so a pamper session was definitely in order. 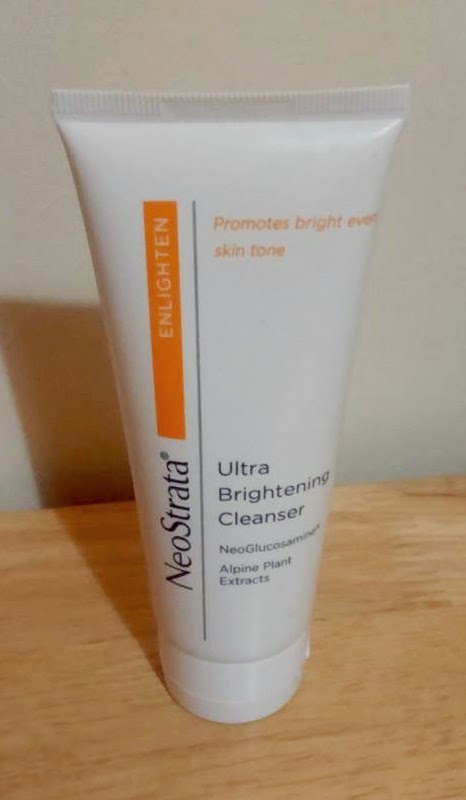 I start by cleaning my face with my NeoStrata ultra brightening cleanser, I've only started using this in the last two weeks and my skin has cleared up a lot, I'll be doing a full review on this cleanser soon. 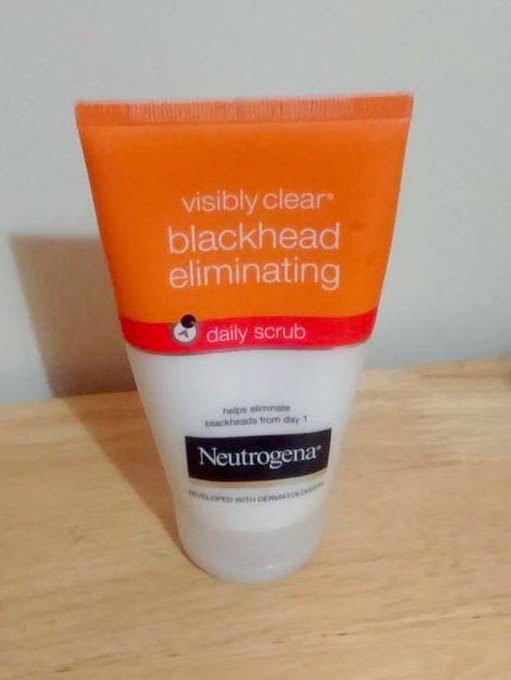 After cleaning my face, I exfoliate with my Neutrogena visibly clear blackhead eliminating daily scrub. Again it's quite a gentle scrub as my skin is too sensitive for anything harsh. 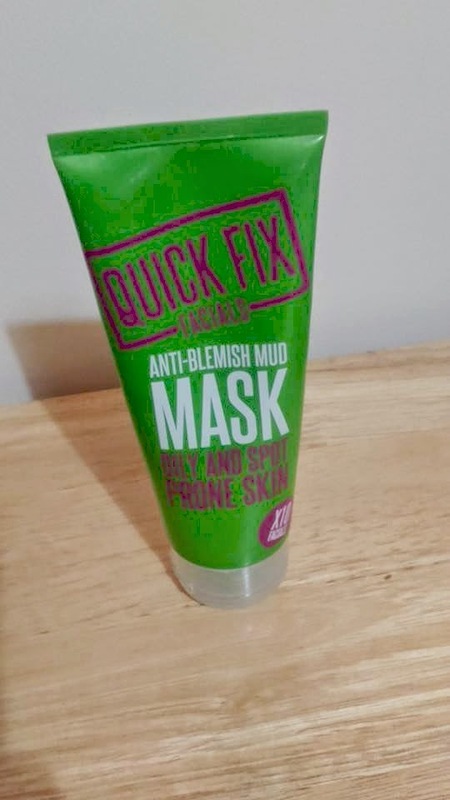 I then move onto my favourite face mask at the moment, the quick fix anti blemish mud mask. This mask is specifically for oily and spot prone skin. I love this mask and have done a full review HERE on it. 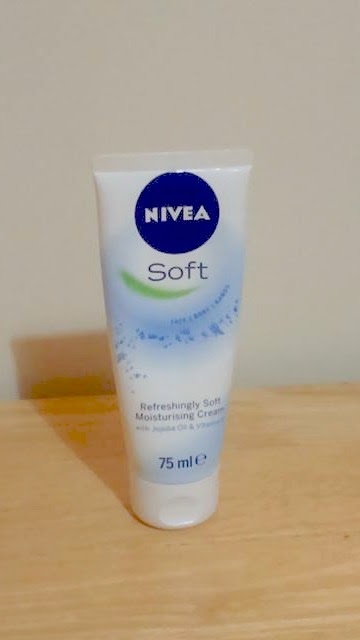 I end my face pampering with moisturiser, my skin has been super dry and this Nivea soft cream, (which I usually find a little too heavy), has been my best friend. It has Jojoba Oil and Vitamin E which are so incredibly nourishing for your face. Last but by no means least, I finished with a manicure which I did a post on yesterday. I love giving my nails a bit of TLC and I like to give them an extra little bit of attention during these sessions. I love my Sunday pamper nights and I think it's really important to give yourself some downtime, especially before a hectic week. I love watching Netflix and catching up on my YouTube videos during these pamper sessions, what do you do in your pamper sessions ? ST. Patrick's Day is around the corner, so this week I felt inspired to do my nails in a festive green. And of course me being me added some glitter because why the hell not. This is such an easy, simple, subtle yet very festive look. It only took a few minutes. The green nail polish is the NYC 'High Line Green'. I've used this nail polish before for another Manicure Monday, that post is HERE. 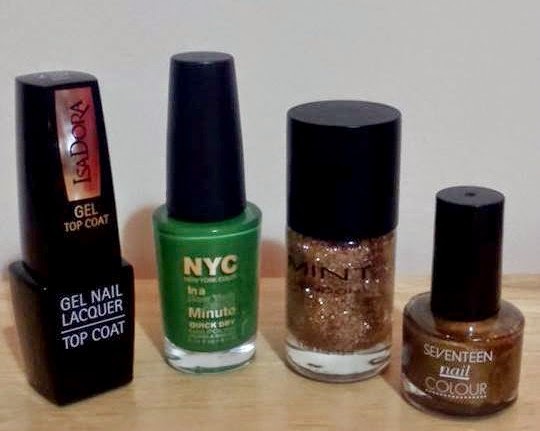 To get the gold glitter effect, I used the Seventeen 'Flammble' nail polish. I then coated it with my MINT 'Richy'. These two are a dream combination, it's almost as if they were made to go with each other.To finish I used the Isadora Top Coat, which I am obsessed with. I think the green and gold really compliment each other. I love how the look turned out and I'll be sporting this look on my nails all week. So what do you think ? Do you like this look ? 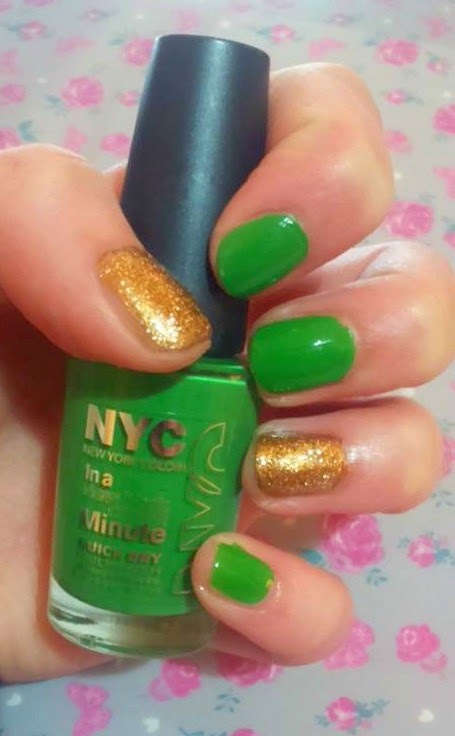 What will be on your nails for Paddy's Day ! Let me know in the comments! Dry Shampoo: You've woken up late, you don't have time to wash your hair and you're all out of dry shampoo ! No worries just put a little baby powder in your hair to soak up any grease, it acts just the same as dry shampoo! Waxing: If you apply some baby powder before waxing it'll make the experience much more pain free. Not only will it protect your skin, leaving it less red and sore, it will actually adsorb the moisture and allows the wax to work better. Plump Eyelashes: Dust a little bit of baby powder on your lashes before you apply mascara. It will make them appear longer and fuller. You can also use baby powder to set your makeup, by removing the facial oils it will keep your makeup intact all day/night. And again it smells amazing so it's just an added bonus! Cool Your Skin: After you shave (face or legs), sprinkle a little baby powder onto the freshly shaven area and rub it in. This will eliminate any irritation and leave you felling silky smooth. Foot Powder: No need to spend a fortune on foot powder just use baby powder. Not only does it smell great, it'll help with the stink in your shoes! Stops Chaffing: Before you go for a run or a long walk put some in the areas that you usually chafe. It'll reduce the friction a ton and leave you feeling dry and soft. Removing Sand: If you're lucky enough to be heading to the beach remember to bring some baby powder!! It's so much easier to remove sand from your body if you just sprinkle a little powder. It'll save a big mess in the car! Removing Grease Stains: If you get grease on your clothes, don't worry just put a small bit of baby powder on a cotton pad and dab it at the stain until all the grease is removed. Then you can wash it as normal. It's as simple as that and might just save some of your clothes! So those are some of the great ways to baby powder ! 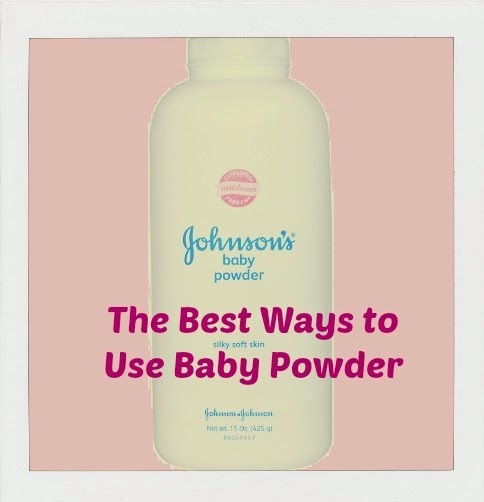 Have you used baby powder in any of these ways ? Do you use it in any other ways ? Let me know in the comments !